A resident of Rockville's Lincoln Park neighborhood died at 6:50 PM last night, from injuries he suffered in a bicycle-automobile collision 24 hours earlier on E. Gude Drive at Southlawn Lane. 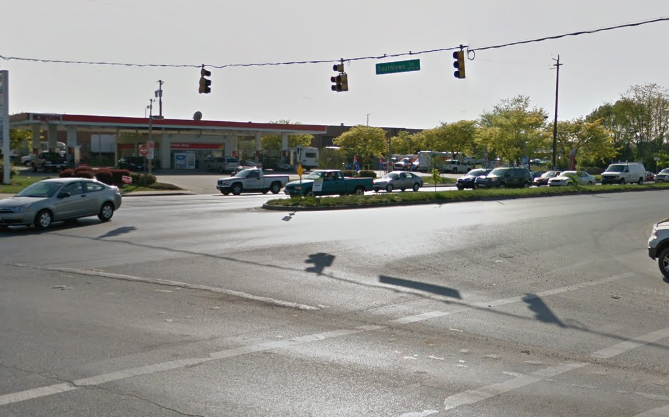 Samuel Vigil, 37, of the 700 block of Lenmore Avenue, was riding his bike southward across the westbound lanes of E. Gude Drive when police say he struck a black 2004 Lexus RX330 traveling west in those lanes. 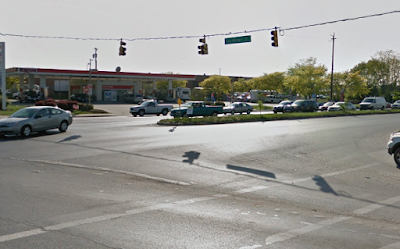 Montgomery County Police say their early investigation suggests Vigil was facing a red light, and entered the westbound lanes of E. Gude against the pedestrian signal. Vigil was transported to Suburban Hospital, where he passed away last night. The driver of the Lexus, 23-year-old Monica Min of Gaithersburg, was taken to Shady Grove Hospital with non-life-threatening injuries. Police continue to investigate the incident. Anyone with information regarding this collision is asked to contact the Collision Reconstruction Unit at 240-773-6620.